The first set in this Freedom 55 special features songs by Bobby Rush, Marquise Knox, and Ben Levin. 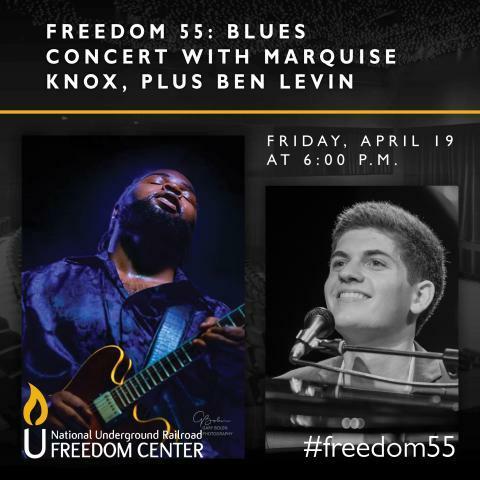 Following this music, you'll hear a conversation I had in WVXU's studio on April 4th with Dion Brown and Jacqueline Dace from the National Underground Railroad Freedom Center about this Freedom 55 series. They also discussed the quilt exhibit from the Women of Color Quilters Network curated by Dr. Carolyn Mazloomi, "We Who Believe in Freedom." Ben Levin came into WVXU's Corbett Studio on October 19, 2017 and May 27, 2018 and spoke with Ron Esposito about his musical journey and played a couple of songs. 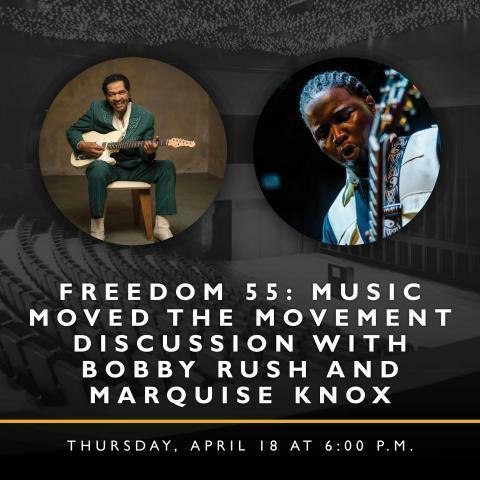 And, this special ends with a song by Bobby Rush who'll be in the free evening presentation at the Freedom Center on Thursday, April 18th. Please note that there's an admission charge for the Thursday evening concert, April 19th.